Styled with pacquet short and veritas shirt . 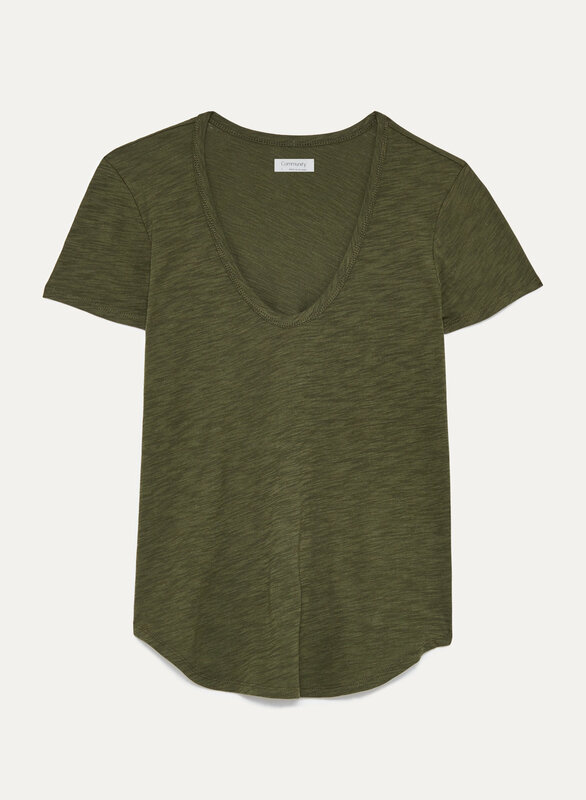 This V-neck tee is made with soft cotton that’s perfect for every day. 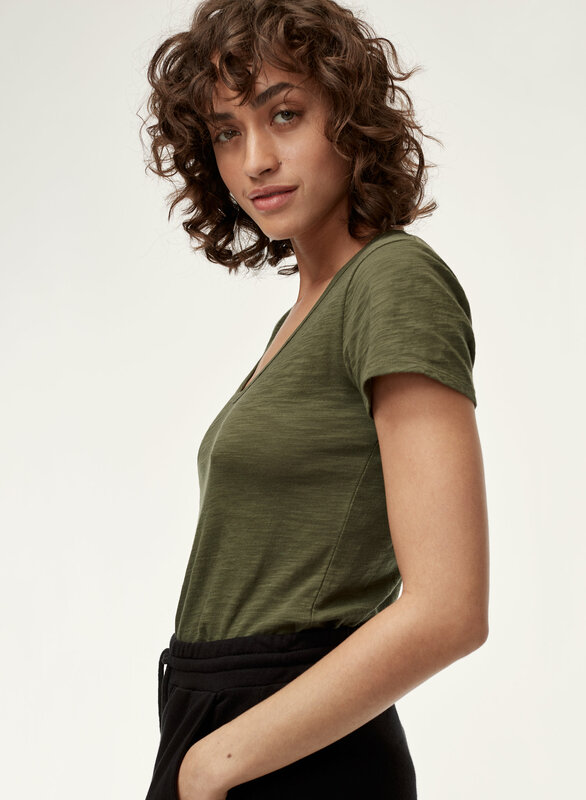 The slim silhouette has a cap sleeve and slightly curved hem for a perfected fit.